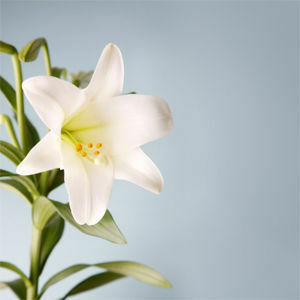 OWENSBORO - Ethel Mae Dennis Taylor, 70, of Owensboro, died Sunday, July 8, 2012 at 1:41PM at Owensboro Medical Health System. Mrs. Taylor was born March 5, 1942 in Muhlenberg County. She was a homemaker. She loved to dance and play the organ, loved conversation and her family, and loved to paint pictures on a velvet background. She is preceded in death by her father and mother, Noah and Hallie Taylor; sister Margaret Ewing; and brothers Darrell Taylor, Billy Taylor, Noah E. Taylor, Roy Taylor, Monty Taylor, and Hubert Taylor. Survivors include her daughters, Debbie Alloway of Henderson and Sandra Harper of Cadiz; two sons; sister Wanda Davis of Livermore; brother Phillip (Anna) Taylor of Evansville; nine grandchildren; and six great-grandchildren. Funeral services will be Wednesday, July 11, 2012 at 2:00PM at Tucker Memorial Chapel in Sacramento, with Rev. Kenneth Taylor officiating. Burial in Island Methodist Cemetery. Visitation will be Wednesday after 9:00AM at the funeral home. Online condolences may be made at www.tuckerfuneralhomes.com. Your memory will forever live in in the life of your great grandson Keegan. Rest in peace you will be greatly missed but never forgotten. When we were children my family and Ethel's saw each other often. Ethel was always a very nice person. After I got past the teen years, I didn't see her at all until about 3 years ago. She was still the same fun-loving and friendly person she was as a child. I'm sorry we didn't have more contact during the years but we were seperated by our different lives and distance. I always thought of her at intervals of time. When we were children my family and Ethel's saw each other often. Ethel was always a very nice person. After I got past the teen years, I didn't see her at all until about 3 years ago. She was still the same fun-loving and friendly person she was as a child. I'm sorry we didn't have more contact during the years but we were seperated by our different lives and distance. I always thought of her at intervals of time. She was always such a good person and I know she is being rewarded for her goodness in next life. Like all my cousins, I loved her very much. Granny i love you and miss you more than words could ever explain. You may be gone from this earth but you will never be forgotten!! You are in a better place with the lord above were u will suffer no more!! I love you so much and miss you deeply!!! Mamaw Wanda and family, Sorry to hear of the passing of your sister. You are all in my thoughts and prayers. Love Always Renee, Ace, Brandon, Austin and Ethan.